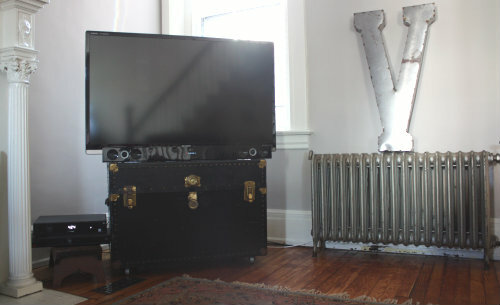 It's amazing just how versatile antique trunks can be when it comes to functional storage, and today we've rounded up 5 of our favorite ways to repurpose old trunks into decorative storage solutions for your home over on eHow. The possibilities are endless. Find the full roundup of decorating ideas with lots more inspiration photos featured over on eHow right here. 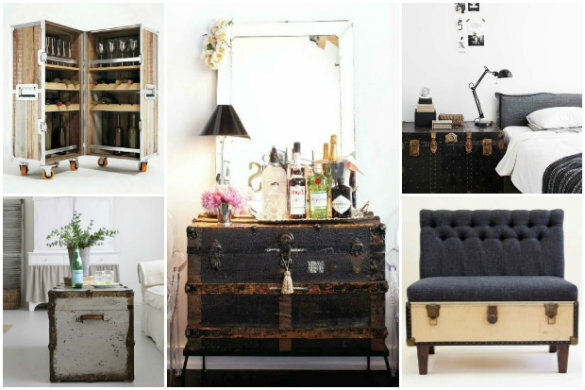 We'd love know — how would you (or do you) use an antique trunk to decorate your space? 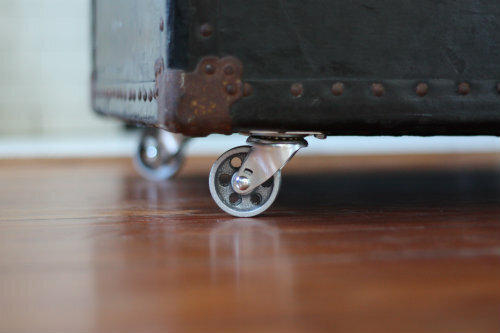 I'm thinking of combining two of your projects--converting my trunk (used as a coffee table) into a side table by putting hairpin legs on it. I saw some amazing use of trunks... I am a huge fan of trunks and I almost have all kind of trunks from small to large and all of material leather or metal... and i am using them for storage purpose for my belongings and some of them as side table or lamp table but never thought of using or transforming a trunk into wardorbe.... that's really a very good idea... and I am gonna try this idea with my old one... thanks!